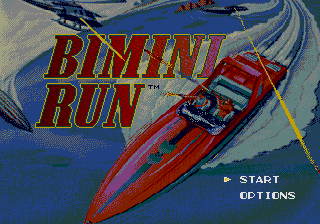 Bimini Run(tm) is a challenging boat racing and shooting game with a good, simulator-like look and feel. Go after Dr. Orca with an insurance policy provided by BIM Code 12, which protects you against loss of boats to accidents and enemy fire. Codes 13 and 18, infinite fuel and continues, will also help a lot. 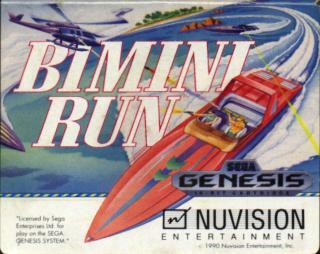 Experts, make finishing this game a "10" on the challenge scale with Codes 6 and 14--one boat and no continues. 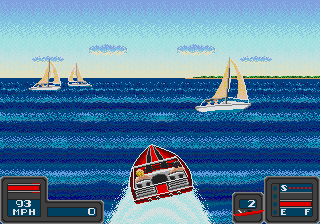 When you're using Code 4, the boat speedometer may behave weirdly, but never mind. you are desperate for a gaming fix.